An evening of festive fellowship raised funds for Bulgarian Aid. Musical entertainment was by Elizabeth Peirson, the Sparkling Soprano. Some 55 Rotarians and friends enjoyed a splendid evening at the Castle Grove Masonic Hall, with Elizabeth Peirson, the Sparkling Soprano, providing the musical entertainment. The prime purpose of the evening was to raise funds for Bulgarian Aid. 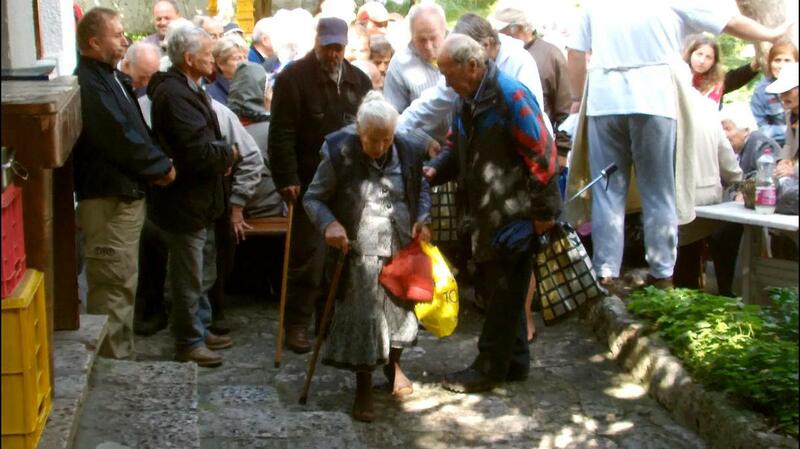 The charity distributes humanitarian aid to those in neeed in Bulgaria, particularly the old, disabled and orphaned. Rotarian Christine Dagwell-Thompson of the Rotary Club of Howden and prime instigator and trustee of the charity gave a brief talk at the start of the evening to explain its work. Examples of items collected and shipped out to Bulgaria are clothing, toys, aids for the disabled, bedding, and containers of nutritious food. Rotarians and Rotaractors in Bulgaria help with distribution of goods to the local population. More information about the work of Bulgarian Aid can be found on its website. Funds raised amounted to over £1000, thanks to the generosity of those attending and additional donations from some who couldn't. We hope to supplement this with a Rotary grant.